Negative energy states are appeared in the structure of complex Hamiltonian dynamics. These states also play the main role in Krein space quantization to achieve a naturally renormalized theory. Here, we will have an overlook on the role of negative energy states in complex mechanics and Krein space. In a previous work, we have shown that the method of complex mechanics provides us some extra wave functions within complex spacetime. We have supported our method of including negative energy states, by referring to the theory of Krein space quantization that by taking the full set of Dirac solutions is able to remove the infinities of quantum field theory (QFT), naturally. Our main proposal here is that particles and antiparticles should be treated as physical entities with positive energy instead of considering antiparticles with negative energy and the unphysical particle and antiparticle with negative energy should be introduced as the complement of the sets of solutions for Dirac equation. 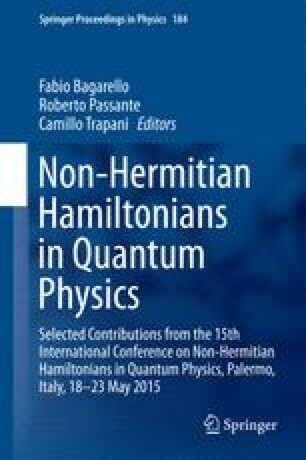 Therefore, we infer that the Krein space method which is supposed as a pure mathematical approach, has root on the strong foundations of Hamilton-Jacobi equations and therefore on classical dynamics and it can successfully explain the reason why the renormalization procedure in QFT works. The author would like to thank the organizers of PHHQP15, specially, Prof. Fabio Bagarello.